Created to discover new talented bands into Dark, Gothic, Electro, Ebm, Industrial, Ambient and Neofolk music. With a serious focus on quality. 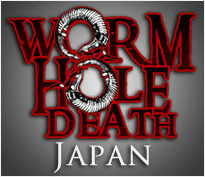 During 2010 Wormholedeath and Dreamcell11, both under mother company Aural Music, officially joined forces to produce albums from a wider range of music genres and increase the respective catalogues during 2011 and 2012. The union of the two labels is also driven by the mutual wish to release and develop “borderline” or “crossover” acts, creating music that could be placed in between the two label concepts (Extreme metal and Gothic, Ebm, Ambient).